Able Muse Press, 9781927409909, 102pp. Maryann Corbett's Street View is a panorama of views: suburban and urban avenues, shown in leaf and in snow; alleyways where misfits lurk in darkness, but also where "Adonis, charioteer of municipal waste collection, rides with the morning"; and boulevards of old buildings whose elegance remains undeniable, even when "prinked in the clown suit of commerce." Street View also navigates the resiliency and failings of the human body, and the memories of family and pivotal acquaintances that shape viewpoints for good or ill. This is the work of a seasoned poet in command of her craft, and deservedly, a finalist for the 2016 Able Muse Book Award. Assaulted, as we all are, by relentless, restless noise-throbbing subwoofers, urban construction, cynical marketing and violent news, even our own banal chitchat-Maryann Corbett "strafe s] back with the whole Roget/ and gun's her] engine to its own rough strife. . . ." Though her weapons, her engines, are stillness, insight, and rhythm, there is indeed a sense in which the poems in Street View wallop their subjects with language. The exquisite, seemingly effortless grace of these poems with their penetrating music and humor deserve a commendation like that the poet gives Veronese: "This is the catechesis/ we need now, for the kind of sight we work with/ here, where the world kabooms." 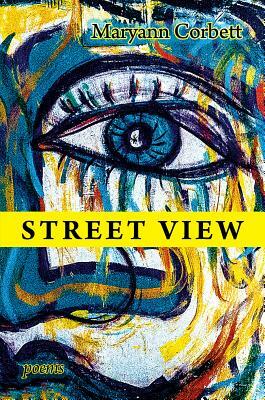 Given her gift with detail, Maryann Corbett is the perfect person to offer a view, but an even more perfect person to offer a "street view," the title of her new collection. While Corbett has made a career of being precise, she can be whimsical as well, right down to the "Northrop Mall . . . as fixed and formal as an English sonnet." Yet perhaps her greatest strength is that she is not afraid to be the quiet steady gaze that takes in everything: all the things most people would miss. Maryann Corbett takes the ode less traveled (not to mention the terzanelle less tried and the dactylic hexameter almost unheard of) to oddly familiar destinations: the West Side Y in New York City, Grand Avenue in St. Paul, the dentist's clinic. She is a rhapsodist of times past and places lost or endangered, but she also lives very much in the present. She examines experiences with shrewdness and fascination, crafting them into poems that are breathtaking in their intelligence and brio. In Maryann Corbett's new book, we are given a Street View on the world, from Minneapolis to Jerusalem. These streets are populated with a variety of town characters, from the vagrant to the dangerous academic "Weirdo" with his void-sucked soul who makes one think of mass killings. Suffice it to say that the street view might be uglier than the view onto the mountains or the ocean, but in that ugliness can be found a clearer view on the truth of how we live today. Maryann Corbett was born in Washington, DC, grew up in McLean, Virginia, and has lived in Minnesota since 1972 and in Saint Paul since 1986. Trained as a medievalist and linguist, she earned a doctorate in English from the University of Minnesota and spent almost thirty-five years working for the Minnesota Legislature as an in-house writing teacher, editor, and indexer. Her poetry is widely published and has won such awards as the Willis Barnstone Translation Prize and the Richard Wilbur Award. She is the author of the books Credo for the Checkout Line in Winter also from Able Muse Press, Breath Control, Mid Evil, as well as the chapbooks Gardening in a Time of War and Dissonance.